1tbs of each cashew, pistachio and almond powdered. 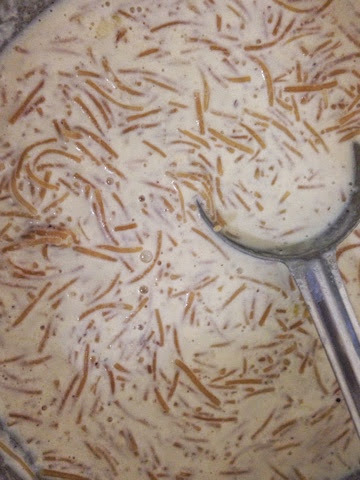 In a pan heat ghee and roast sevaiyan until light brown in color. 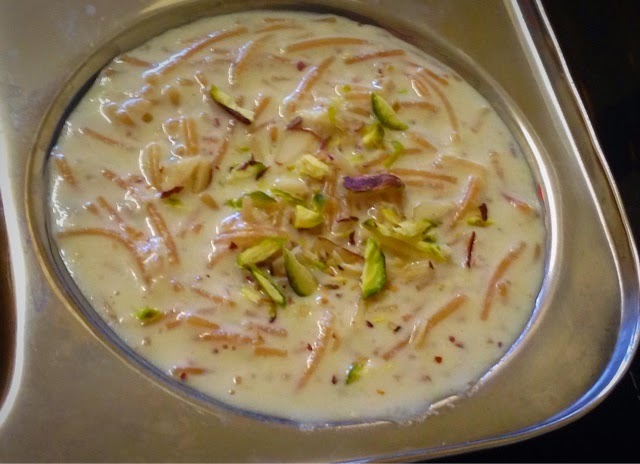 Add milk and keep boiling until seviyan is cooked well, add dryfruit powder and keep boiling until milk thickened a little and look like the consistancy of kheer. Add sugar and mix well. keep stirring and boil for 2-3 mins. switch off the gas, add cardomom powder and garnish with chopped pistacheos.